NOTE: This content is old - Published: Friday, Aug 24th, 2018. 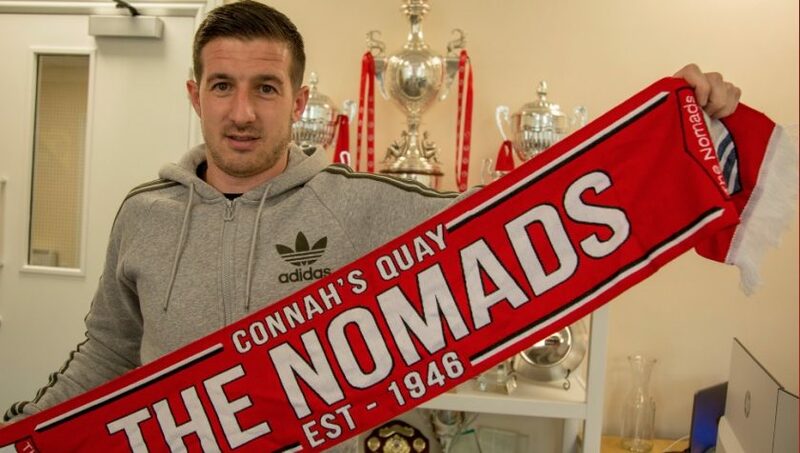 Connah’s Quay Nomads have signed former Bury FC Captain and three time Welsh Premier League champion Craig Jones. For the past six years, Jones has made almost 160 appearances for EFL side, Bury in both League One and League Two, scoring nine times in the process. Prior to his time at Gigg Lane, Jones made over 270 appearances in the Welsh Premier League during his time at TNS, Rhyl, Aberystwyth Town and Airbus. Chester-born Jones won the Welsh Premier League with Rhyl in 2007 before going on to win the league twice more with TNS before leaving for Bury after a brief trial with Leeds United. During his time with TNS, he was named the Welsh Premier League Young Player of the season in 2009-10 season as well as being named in four consecutive Welsh Premier League team of the years. Additionally, Jones scored almost 60 goals in his time in the Welsh Premier League. Jones will wear the number 20 shirt at Deeside Stadium which was today vacated by Noah Edwards who has left the club with his intention to join Caernarfon Town. Morrison commented on Edwards’ departure saying “Noah wants to play football and was very honest where he believes he was within the squad.